There are many ideas out there that go along with a great garage addition. If you want to add a garage onto the home that you live in, then it is a good thing to get some ideas of what can be done. A garage is an ideal space to have, since you can make the most of the space inside it as a workshop or anything else. Here are some of the best ideas that are out there, so if you want one of them, you can utilize the idea and then make it into something of your own to enjoy for years to come. Just make sure to hire a professional to come out and build the plans for you! If you want a little extra space added onto the side of your home, then you can always have a garage built and then add a loft to it. This can provide you with a way to get some extra square footage, but also have a place to work on your vehicle. Many people are loving this idea. 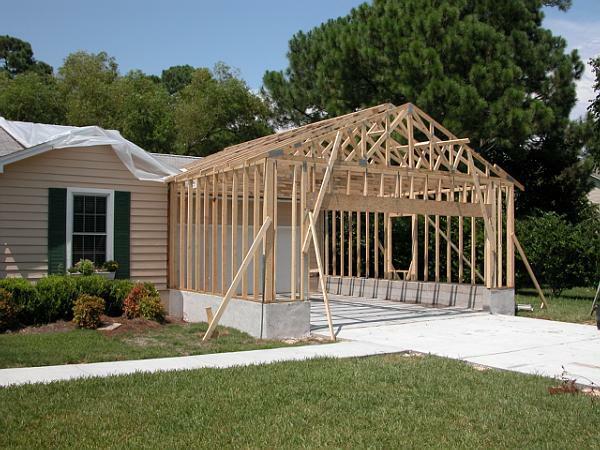 If the garage is going to go somewhat near your home, then have the contractors build a sunroom onto the middle part that connects to your home. You can then enjoy the room throughout the years, not have to walk through the elements to get to the garage and get more out of the space. Everything is connected in this one walkway, so make the most of it. If you already have a garage, but want extra space, then you can expand the side of the garage to accommodate another car or even a work station if you desire. This can be done with a contractor that knows how to add onto buildings. It is a great way to get more space and have enough space for another car to fit. When you’re ready to add onto the home that you own, fill out our form below and Contractors Today will help you get in contact with the home additions contractors that are currently working near you!